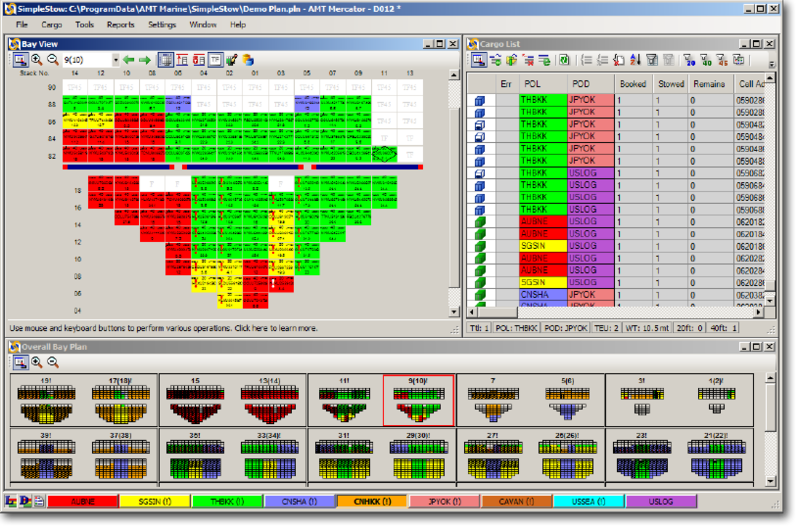 We are pleased to announce the release of our new programming product - SimpleStow - a powerful, user friendly and economical software tool for container stowage planning and container data processing. SimpleStow’s flexibility and high degree of customization, as well as ability to create own ship models makes it perfect ship planning and data processing tool for container terminals, NVOCC, shipping lines tonnage centers, marine and government agencies and a variety of other users. SimpleStow is offered on a subscription basis that does not involve significant upfront costs. One month free trial of fully functional software and services gives the users a good opportunity to carefully evaluate the program before purchasing a standard subscription. For more information visit the SimpleStow Overview page.